So I just added 15 troopers to the Leaky Suit Brigade. Don’t have them in hand, but here is the pic of 15 more Toxo-Vipers. Incomplete but the price was a steal, a dollar a piece. 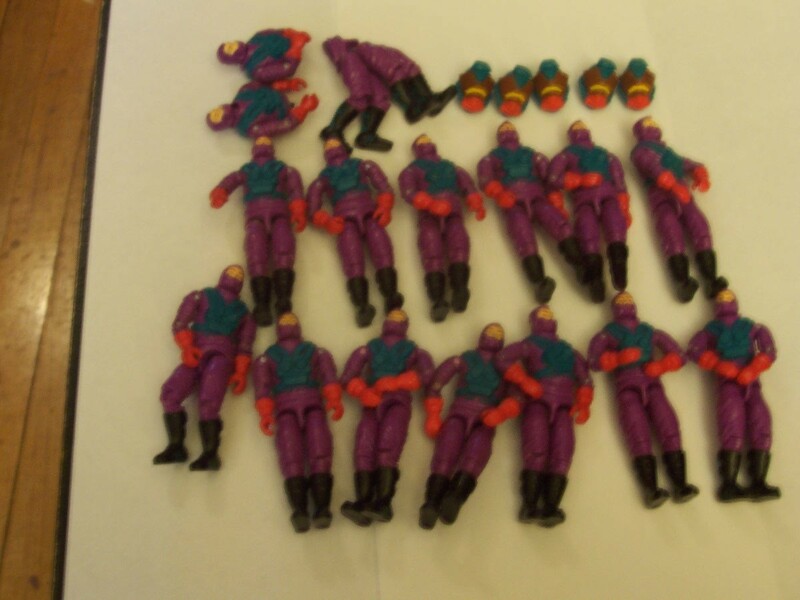 Categories: General Joe Stuff, New Joes | Tags: Cobra, eBay, eBay Auctions, Figures, G.I. 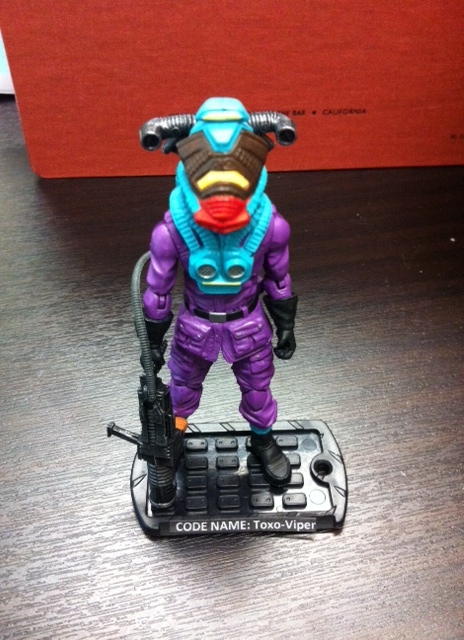 Joe, GI Joe, Leaky Suit Brigade, Toxo-Viper | Permalink. Custom Toxo Viper In Hand Review! This figure is even more impressive in person! Well worth the price. It honestly looks like I just ripped it out of the bubble when comparing it to my other 30th Anni and POC figures. 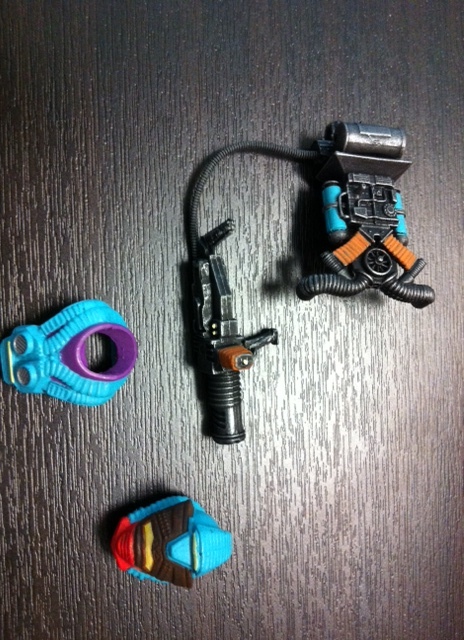 It appears to use Airtight’s head and legs with modified boots. The torso, arms and hands are all unknown to me. 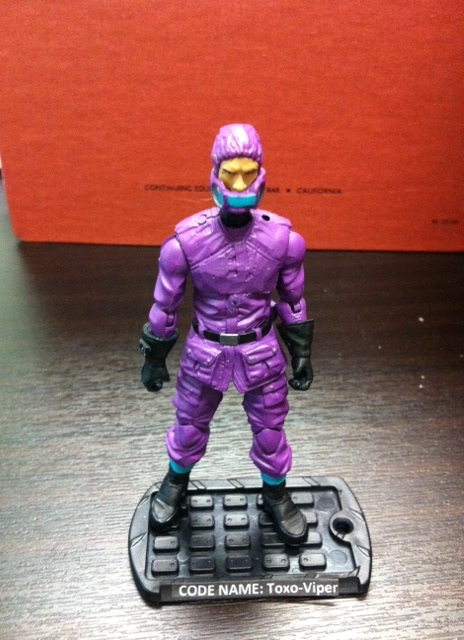 The figure also has a waist piece that has been attached, giving the suit a little extra effect. The chest has some new modeling/sculpting, maybe to allow for the chest piece to sit snugly on the figure. Categories: Uncategorized | Tags: G.I. Joe, New Joes, Toxo-Viper | Permalink.